Working at JustGive, I am exposed to hundreds of people who donate money to worthy causes, and to the nonprofits working for those causes. On a daily basis, this really renews my faith in humanity, and makes me feel all warm and fuzzy inside. People are amazing! We offer our services to so many incredible charities, and learning about the great work they do is inspiring. Many of them rely completely on volunteer hours, and have few or no paid employees. Did you know that more than one of every four Americans volunteers? 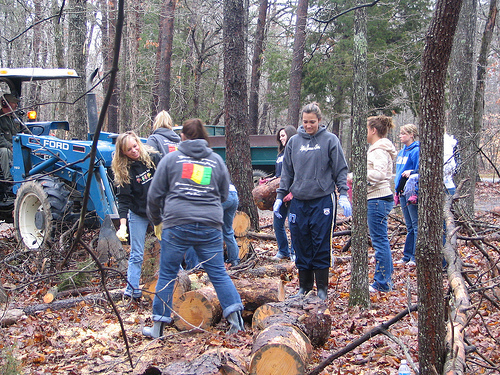 Combined, we volunteer 7.85 billion hours per year. If you’re looking for a way to add meaning to your life or make a difference in the world around you, volunteering is a great choice. First, research the causes that are most important to you. Look for a group that works with issues about which you feel strongly. When you feel passionate about a cause, working for free doesn’t feel like work at all. Consider the skills you have to offer, or skills you’d like to develop. Many positions require a volunteer who has experience with certain equipment, such as computers, or who possesses certain skills, such as an ability in athletics or communications. However, volunteering is a great chance to develop abilities in areas you might not have tried before. 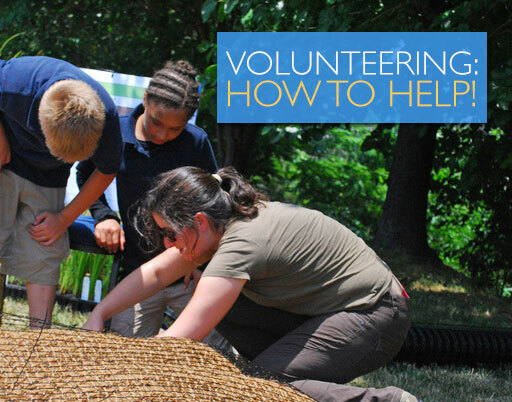 Seek out a volunteer opportunity where you’ll learn something new. Before you start, make sure the volunteer hours you want to give fit into your hectic life, so you don’t frustrate your family, exhaust yourself, shortchange the organization you’re trying to help or neglect your job. It’s better to start out slowly than to commit yourself to a schedule you can’t fulfill. You can also easily find volunteer opportunities on the Internet. Sites like VolunteerMatch allow you to search for nonprofit organizations in your area that are looking for people with specific skills. If you’re a member of AARP, sign up for to receive their Create The Good newsletter and check their site for volunteering ideas and information. And if you missed it, check out our blog post, 20 Great Ways to Give Locally. We now live in a digital age, where an organization’s website is often the first impression it makes. A good website can go a long way! Many charities don’t have the resources to dedicate to creating a social media presence, either, which is vital for connecting with potential supporters. If you are good with computers, you can help a lot by donating web design skills, graphic design, illustration (infographics anyone?! ), SEO, social media, or copywriting services. For more information about volunteering your digital services, check out this post from Six Revisions. And find charities that need your services through websites like Grassroots or Taproot. As an illustrator, I donated my services to design invitations for an animal rescue’s fundraisers. It was fun, I met a lot of amazing people, and I helped a lot of wonderful animals. I highly recommend it! To the millions of you who volunteer and give, thank you. You inspire me, and you help change the world. Where do you volunteer? We’d love to hear your advice and experiences—comment below, or join the conversation on Facebook!